Just getting to this museum was an experience. Sign in at the college reception, turn right through a back door, take two flights of stairs downstairs then past the library. It’s just been through a complete refit, but whilst they’ve managed to let in more light and give it a lick of paint – it still reminded me a bit of my old school classrooms. The area he proposed now houses three of the UK’s major museums, and the Academy of Music. Holst was a student at the college in the late 19th century, and an autograph copy of Venus from his suite The Planets was prominently on display. 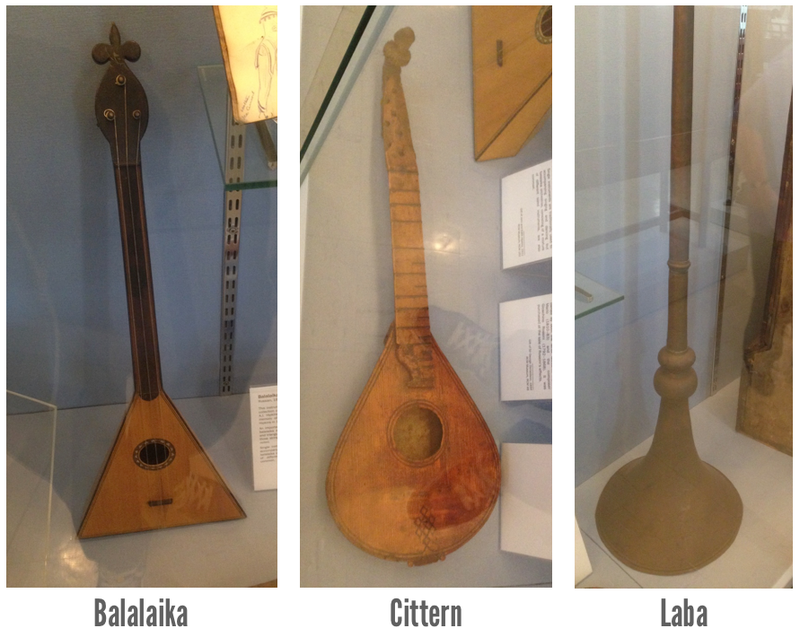 There were some interesting instruments on display, that I’d never seen before. Or how about the Ud (plucked string instrument from Arabian origin), Nyastaranga (an Indian throat trumpet that amplified the human voice) or Porchettes (essentially miniature violins)? The Clavicytherium in the image below is widely considered to be the earliest surviving stringed keyboard instrument in the world. It’s not signed or dated, but a fragment of a legal document used to line one of the internal joints has been dated between 1470-80. 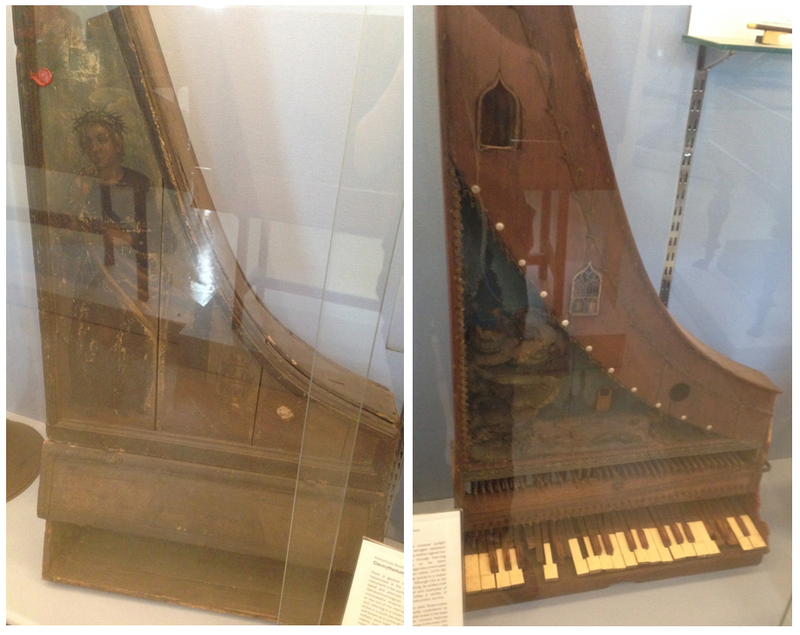 They also had on display what is considered to be the earliest surviving five-course guitar. And there were harpsichords a plenty. 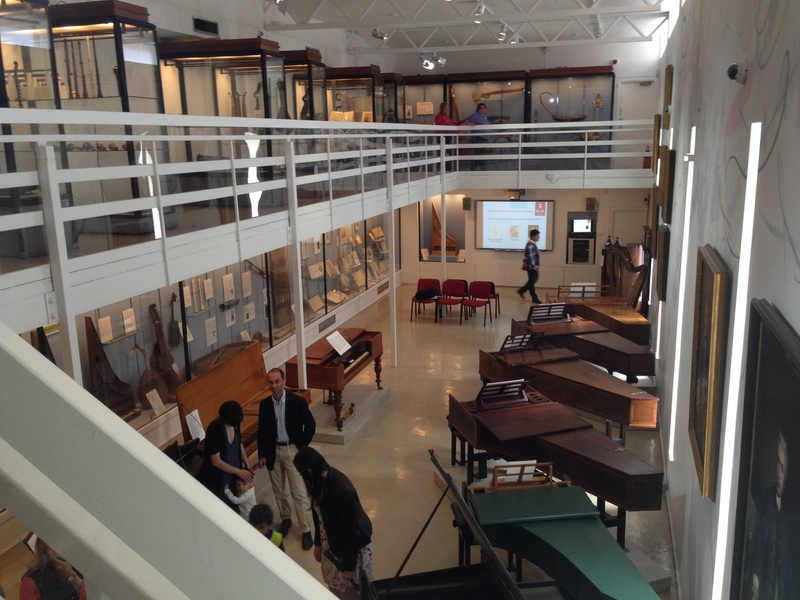 Overall – nice museum, but afraid I didn’t get too much out of it. If I was studying music at the college, I’m sure it would be fantastic. As I’m not, I didn’t get all that much out of it. #1. Pochettes were used by dancing masters, who needed to accompany their students but didn’t want to share their fee with a separate musician. #2. The Wetheringsett Organ Soundboard formed the soundboard of a 16th century English organ. It survived in the form of a dairy door and was discovered in 1977. #3. Barak Norman was one of the last English viol-makers. He worked near St Paul’s cathedral at the ‘Bass Viol’, next door to the ‘Harp’. Say what you see. #5. 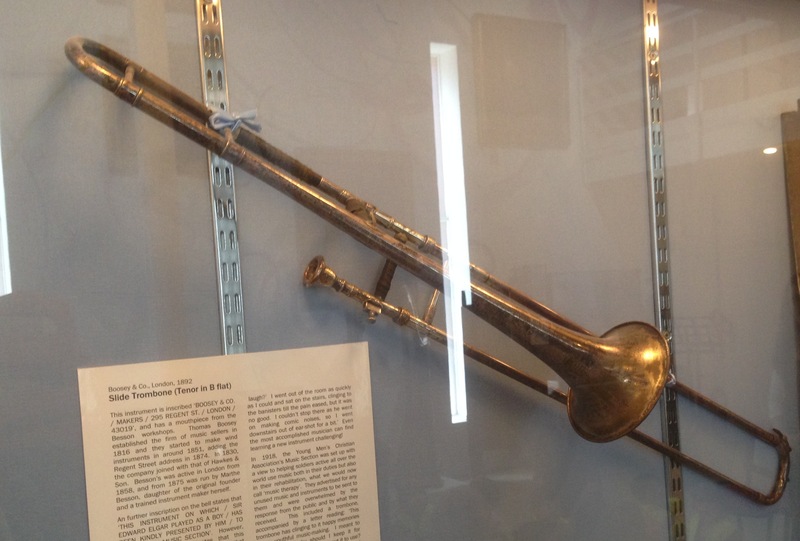 John Harris was an active trumpet maker in London between 1608 and 1731. He was appointed Queen’s Trumpeter in 1708.